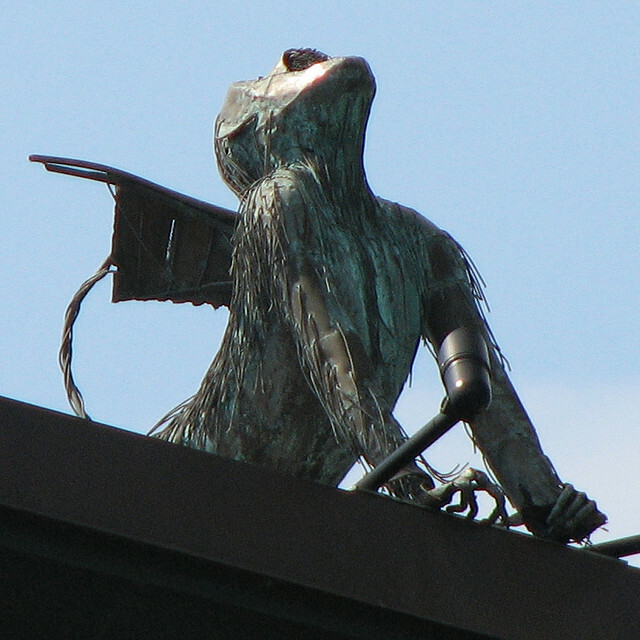 The first monkey appeared in 1976 as a commission for a local waterbed store and a second followed soon after. 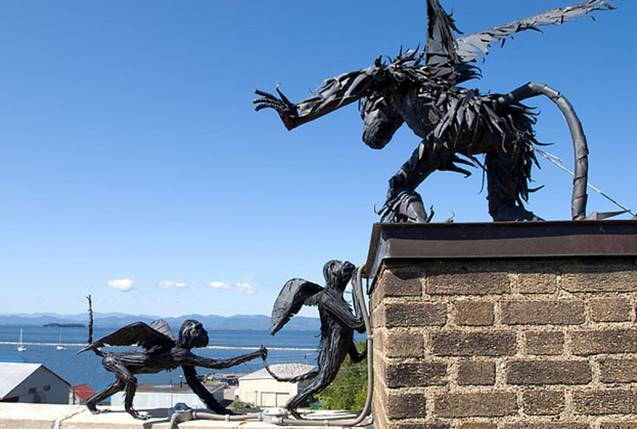 They were created by Steve Larrabee a local sculptor and cabinetmaker who died in 2011. 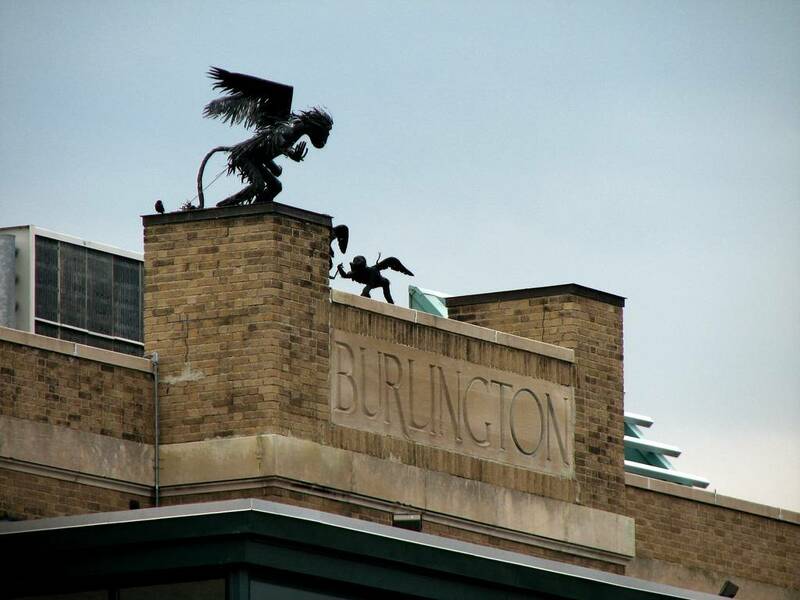 For reasons unknown the waterbed supplier to the denizens of Burlington was called The Emerald City. 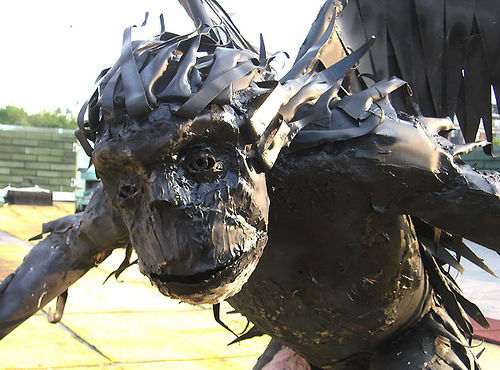 The monkeys were to augment this Wizard of Oz theme. However, the store eventually changed hands and the monkeys went in to an imposed exile after around ten years on display. 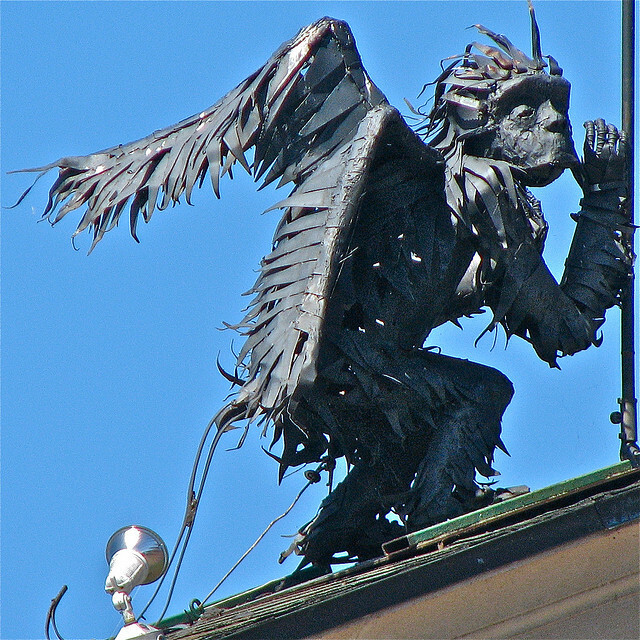 After a four year hiatus the monkeys returned when the store relocated to the southern edge of the city. 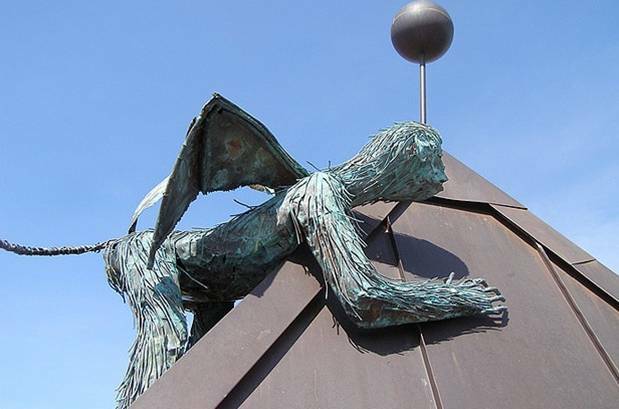 Yet in 1992 the original winged monkey was stolen. A replacement was ordered. 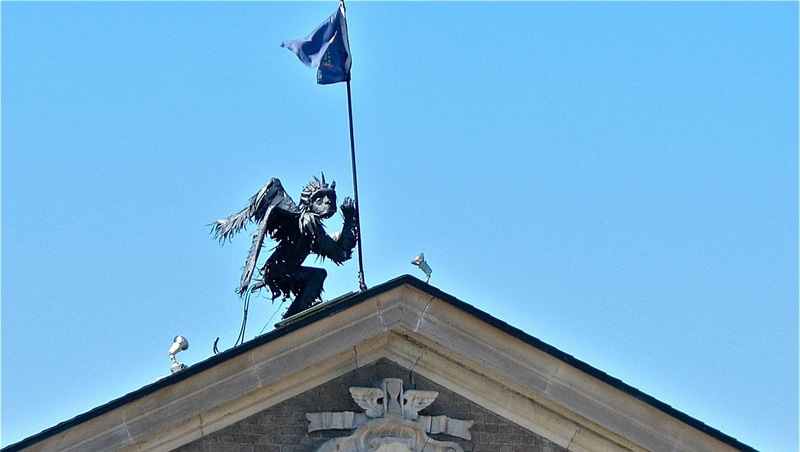 However, after a year the kidnappers were caught and the original flying monkey was returned. 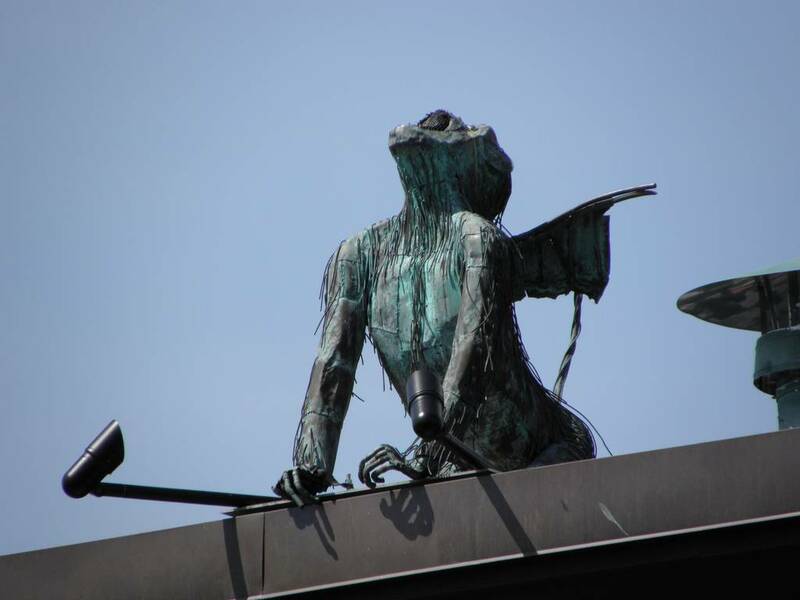 The new monkey, a copper beauty in blue, captured in the throes of a guttural shriek, joined the original two – a family was taking shape. Yet they were to be split up again. 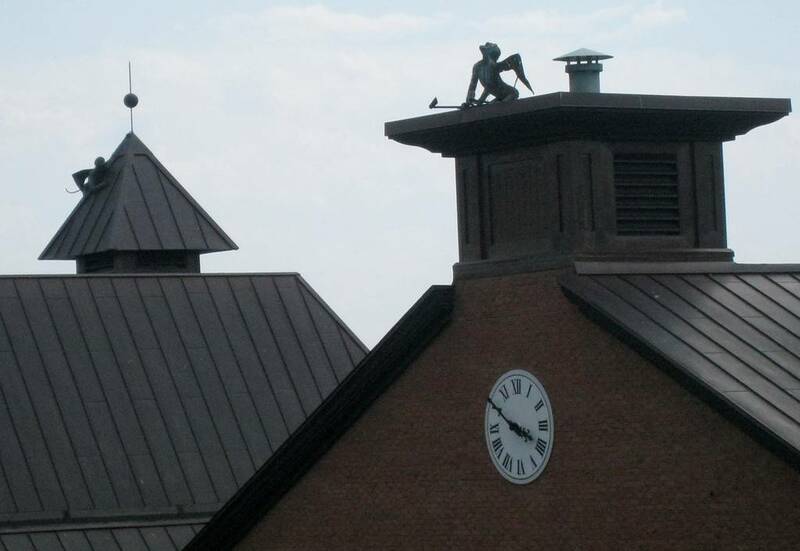 In 1996 the first two were moved to the Clock Tower on Burlington’s Main Street Landing and copper blue was placed in a patch of land at the north end of the city. Years were to pass before the monkeys moved again. 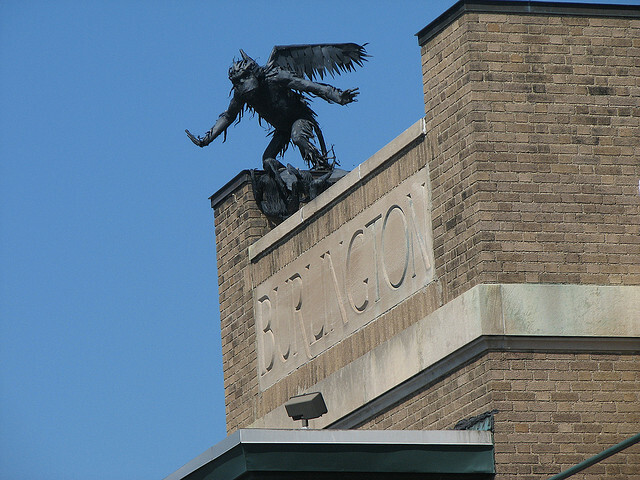 In 2005 Burlington residents awoke to the news that the original pair had (obviously) been having some fun in a Night at the Museum kind of way and that their nocturnal activities, unwatched by human eye, had resulted in the birth of twins. Nothing enhances and increases a community like the pitter patter of tiny paws and it wasn’t long before copper blue arrived atop the theater. With love well and truly in the air she didn’t fail to attract a mate, like her a vision in blue copper. 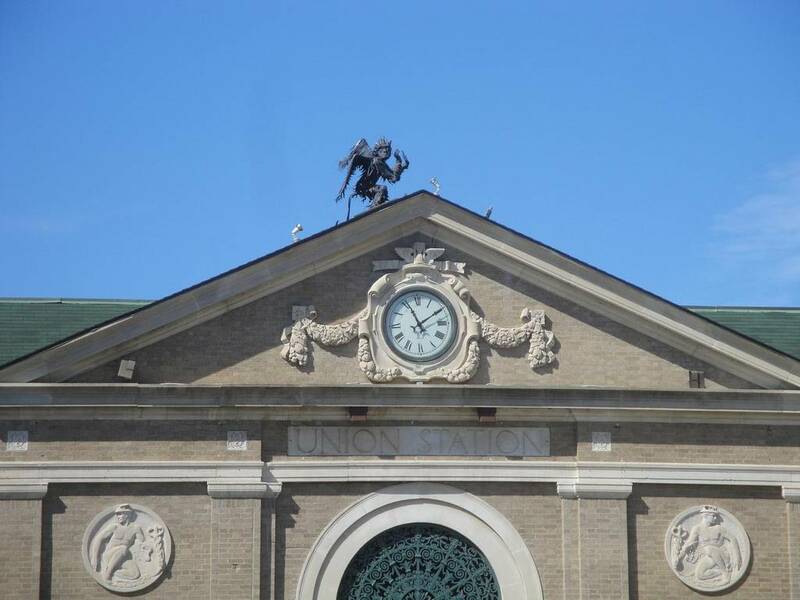 He descended on to the cupula of the theater, no doubt impressing her with his simian acrobatics in the process. And, so, then there were six. 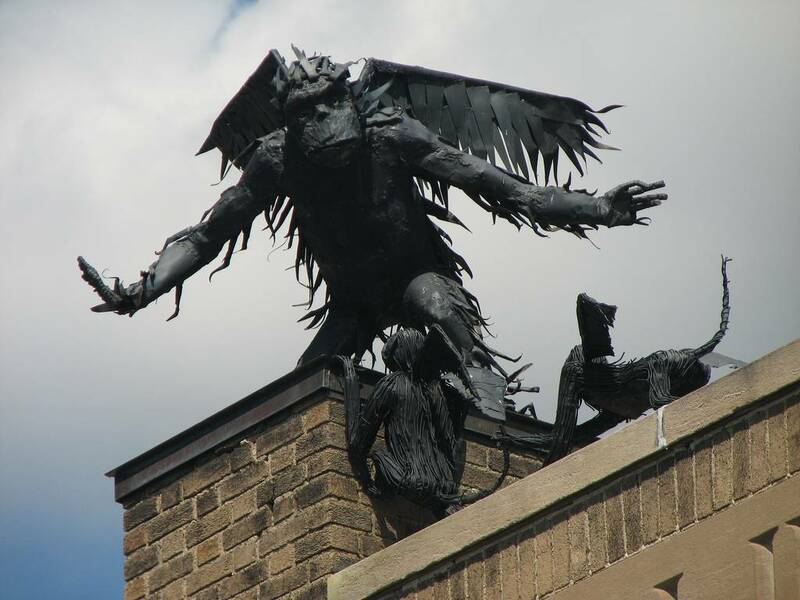 In an on-off tradition covering the best part of forty years Burlington has attracted six anthropoid inhabitants to its rooftops. They have become one of the town’s institutions although no doubt some still shrug their shoulders as to the reason why. Yet in many traditions, after all, isn't the why something of an irrelevance. 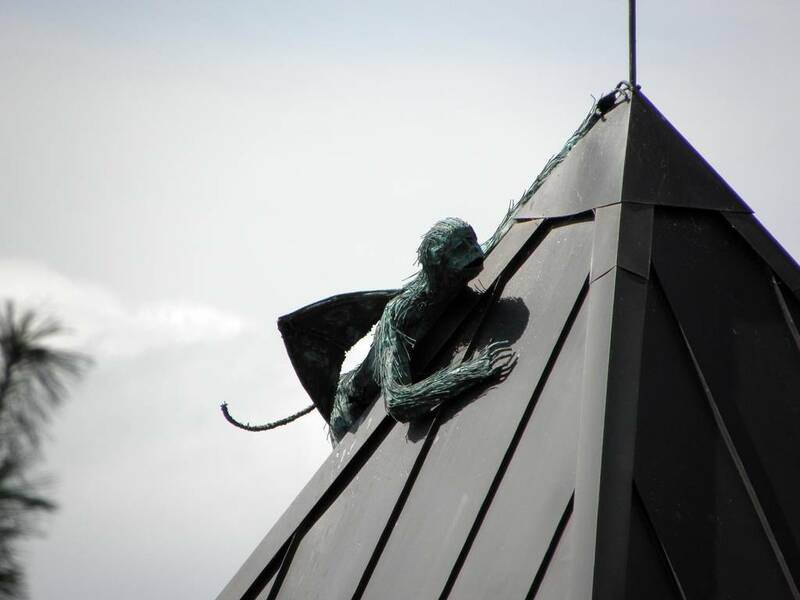 Who can say how long it will be before the blue monkeys present their own new arrivals to the town? 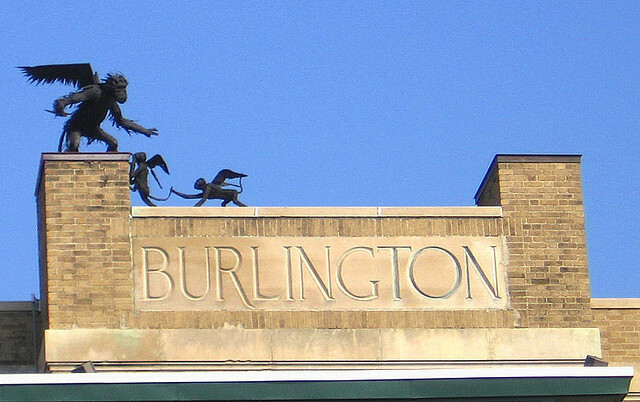 One can only wonder just how many winged monkeys visitors to Burlington will encounter in 2050.